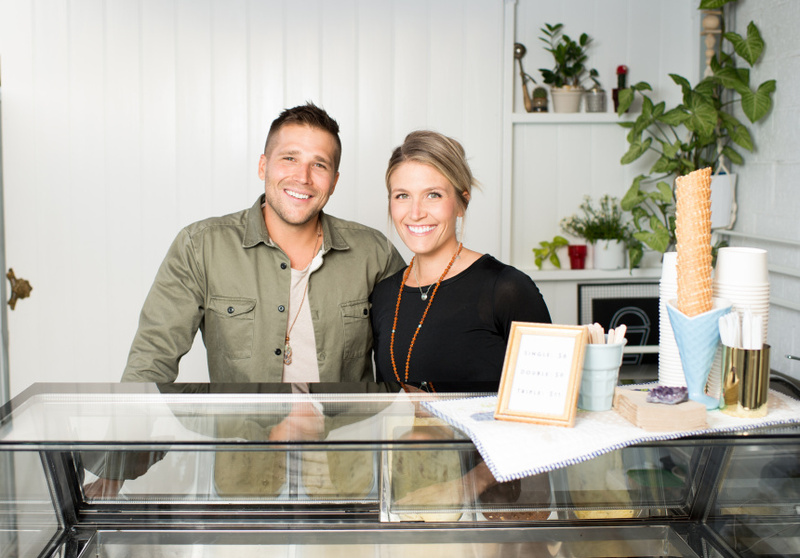 For Mati and Kaitlyn Kuld, building their Highgate ice-creamery was not only a labour of love, but a lesson in building relationships and community. 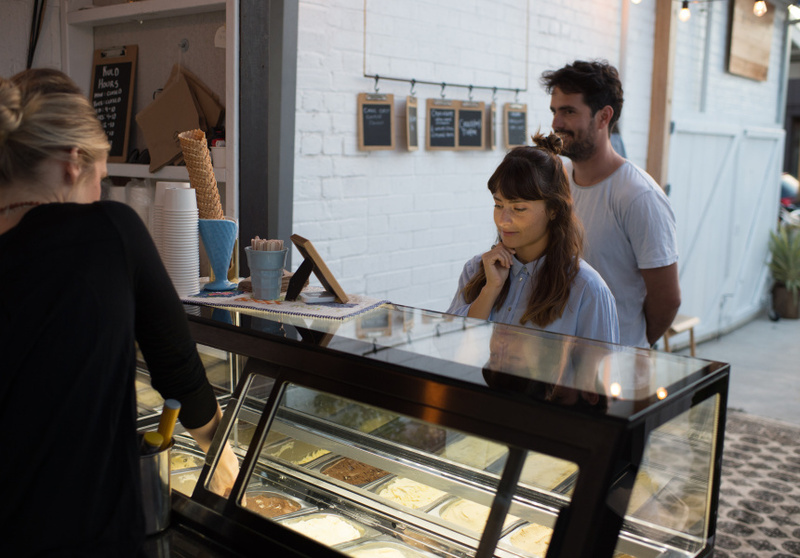 Operating out of the laneway next to Blacksmith, the Kulds have brought traditional ice-cream to a city that has firmly embraced gelato. 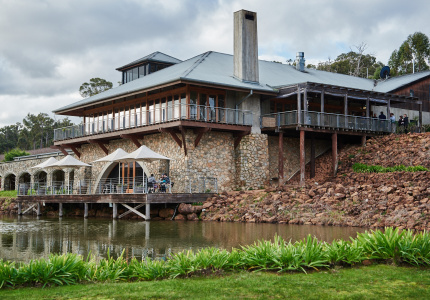 Arriving in Western Australia in 2015 via Toronto and Michigan, the Kulds quickly fell in love with Perth’s natural beauty and relaxed pace. But with no family here, they craved the sense of community from their hometowns. Their solution was to create an homey, community-centric space where people could hangout and enjoy a treat. 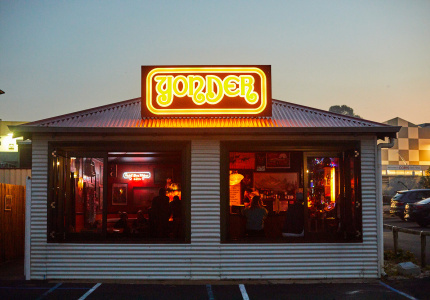 Inspiration initially came from Chris Green’s coffee hole-in-the wall, Myrtle Ivy. 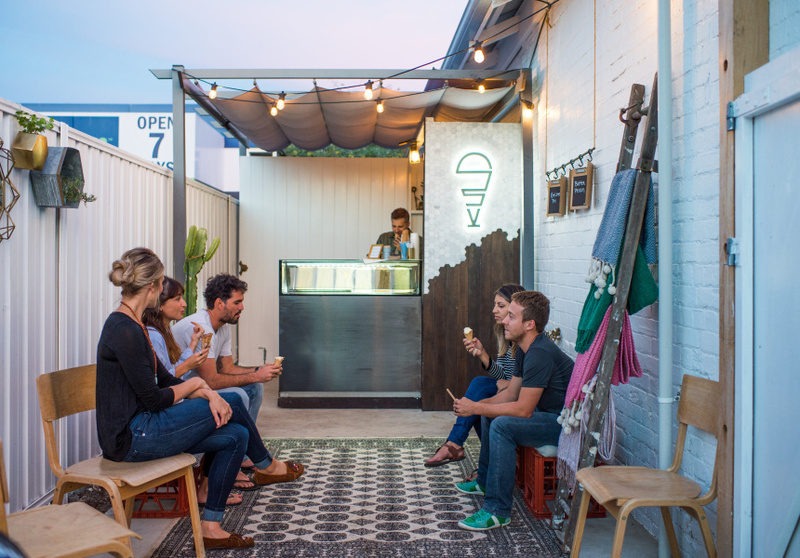 Green worked with the Kulds and advised on everything from how to start a business to realising their vision of creating a nook-like feel in a functional laneway. From there, the advice and collaborations have not stopped coming. 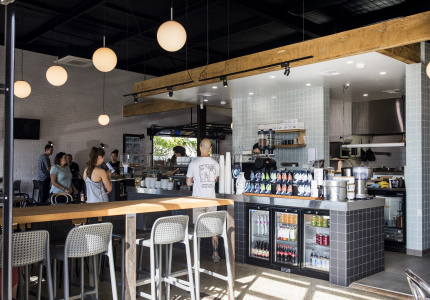 The crew from Top Dup provided invaluable business advice, while coffee from Blacksmith and cold brew from Get Ya Fix have both graced the menu. Croissants from Sugar & Nice have found their way into ice-cream flavours. 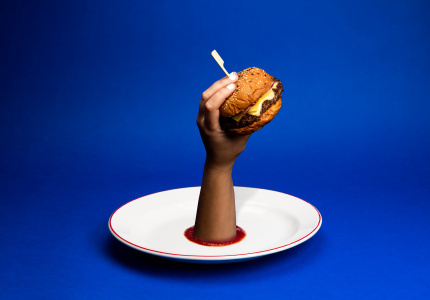 In return, Kuld ice-cream will feature in Sugar & Nice’s “pimped” selection of desserts. Mati and Kaitlyn are looking forward to sharing tastes from their respective homelands with customers. Expect Pumpkin Spice, London Fog Latte (earl grey and vanilla) and Peanut Butter M&Ms to feature on the changing weekly menu. Vegan and gluten-free options are also available.